1. USD12.5 billion is nearly 50% more than the USD8.5 billion net profit that Google made last year. — that’s a lot of money, and how are Google going to make that money back, given that 2. — Google lost out on Nortel’s patent portfolio after bidding billions. 2011 is shaping up to be the year of patent wars, particularly in mobile. Android is thought to be vulnerable to attack. — that’s a very short time for an M&A of this size. Another sign of desperation? — that’s right, if for any reason, the takeover doesn’t take place, Motorola pockets all that money. Who do you think had the upper hand in negotiations. — in scarily similar language. Scripted response of people who are scared to upset the boss? — for the wider platform, or their own good? — how can they all be absorbed, practically and in terms of the Google company culture? Where will Google go from here? Here are 3 possible outcomes. – Apple did it, but they had experience of making hardware. 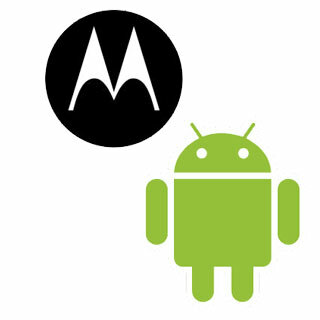 And Motorola has the disadvantage that it’s in very poor health. And existing Android licensees may not like it. But it could allow Google to equal Apple in mobile, at the expense of not building a ubiquitous platform (losing partners such as Samsung and HTC). – this helps the Android platform, defending, in Google speak, so that partners can make better handsets without having to worry about lawsuits etc. – Motorola has a huge proportion of the TV set top box market, which could be an in to the TV market. Time will tell which, if any, of these, happen. Microsoft must be very happy. Windows Phone is looking a lot more attractive to handset makers. Apple will be surprised, wary, but not scared. It will just keep plotting its own course. Larry Page has shown that he is not afraid to take big decisions. This points to a new age of Google.